We are CLOSING OUT the summer with an evening at the beach! 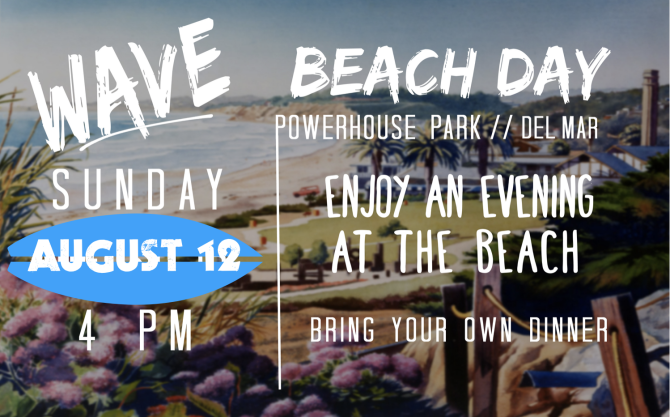 Join us at Powerhouse Park in Del Mar right off 15th street! We will gather at 4pm right next to the playground so our kiddos can play, and the adults can hang out. Feel free to come whenever you can, we will be there till sunset. Please feel free to bring dinner to enjoy! Look for the Wave flags to spot where we are camped out.